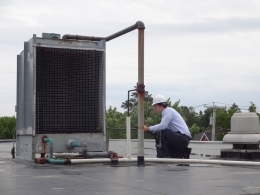 Sage Engineering Associates, LLP is a firm of seasoned professional engineers who provide mechanical and electrical engineering services to institutions, industry, and other building owners. Our mission is commitment to design excellence, to the needs of our clients, and to the careful management of money and time. 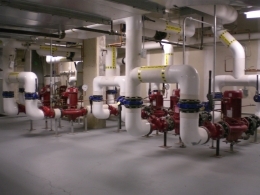 Our objective is to arrive at quality functional design solutions that are aesthetically compatible with the total project design, are responsive to the project budgets, and have the flexibility for minimal disruption as clients needs change in the future. 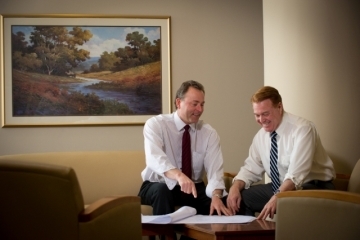 Sage's approach to client-focused service has been favorably received and has resulted in a portfolio with many repeat clients. "Their expertise in designing sophisticated systems combined with their rapid response were the reasons for choosing Sage Engineering for the addition for the new terminal"
- John O'Donnell, Chief Executive Officer for the Albany International Airport on the expansion and addition of a terminal building for Soutwest Airlines. 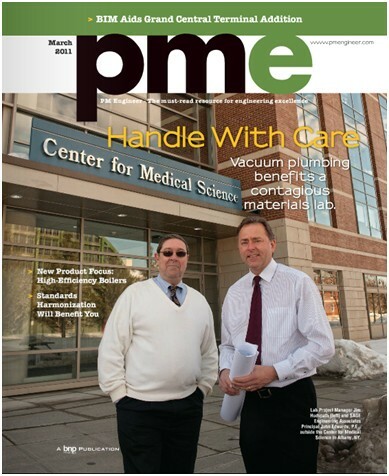 The March 2011 Issue of PM Engineering Magazine featured a cover article about a laboratory project recently completed by Sage Engineering.